Best hotels during the mushroom season. Country houses, hotels, accommodations and apartments ideal for the mushroom season! Are you looking for Hotels, Country houses, chalets, lodgings or apartments where you can go and pick your own mushrooms? Rusticae has selected the best! When the fall begins and the first rain falls in the Spainish forrests, the mushrooms start to grow. Go on a quest and find these mushrooms yourself! Rusticae has selected the best hotels where you can go out in the nature and experience the nature first-hand. You have the opportunity to join a trip organized by the hotel and collect mushrooms. An expert will guide you through the forrest in a quest for the best mushrooms (and not the poisonous ones!). Put on your boots and take your basket with you. 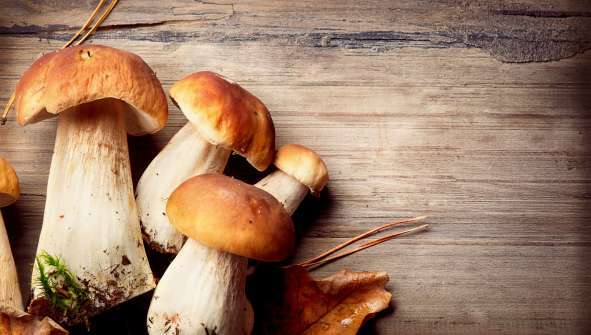 Learn more about the different types of mushrooms and funghi. In the meanwhile you can enjoy the warmth and charm of your hotel and appreciate the seasonal dishes. Combine your getaway with strolls through the forrest and picking mushrooms. Enjoy the scents and colors of the fall. Rusticae has selected the best hotels for the fall.